The students attended a training regarding the use of juuling/vaping/tobacco use. Students pictured from the recently held Middle School Teen Institute with the fruit salad they prepared during the “Teen Cuisine” activity. The students split up into groups during their leadership activity. Leadership is an important skill for the youth to have, so volunteers of Teen Institute led the youth in a leadership activity. 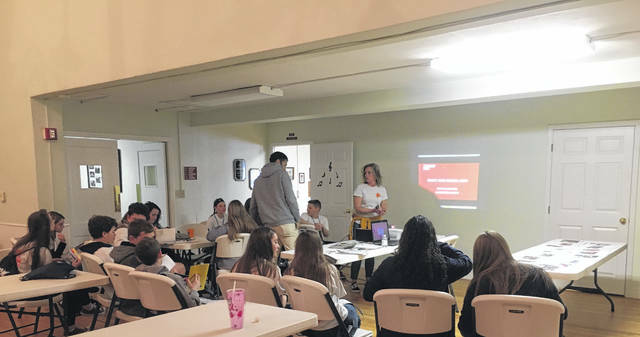 POINT PLEASANT — The Mason County Family Resource Network (FRN) recently hosted a Teen Institute event targeting a major problem within the middle school youth in the area. 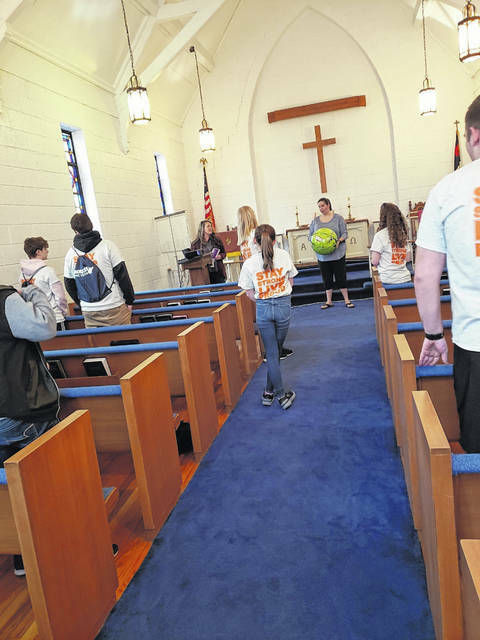 For the first time, middle school students were invited to attend a Teen Institute at Trinity United Methodist Church, rather than attending school for a typical instructional day. Greg Fowler, FRN executive director, shared one of the major focuses of the day was addressing the issue of underage juuling/vaping/tobacco use as 90 percent of the teen court cases the FRN members have been facing lately have involved underage juuling/vaping/tobacco use within middle school-aged youth in Mason County. 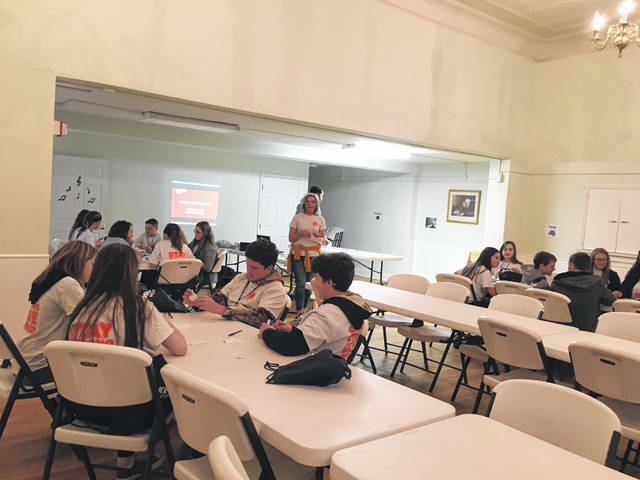 Along with participating in a training regarding underage juuling/vaping/tobacco taught by personnel from Prestera Center, the youth also heard a presentation from Lakin Correctional Facility inmates, had a lesson on healthy relationships, participated in a leadership activity, an archery activity and a “Teen Cuisine” activity. Lisa Bell, West Virginia University (WVU) Extension Office health educator for Wayne County, lead the “Teen Cuisine” activity. 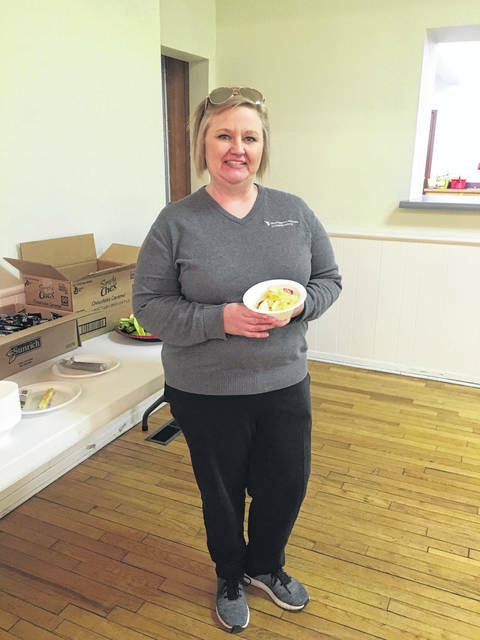 She said Beverly Glaze, Mason County School System director of child nutrition, reached out to her and wanted her to do a healthy activity for the youth of the Mason County. 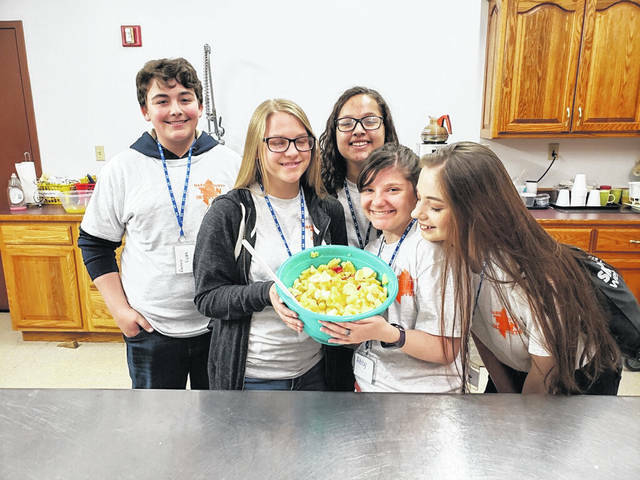 Bell decided to have the students at Teen Institute make a fruit salad together, while reinforcing the notion of “You are What You Eat” to encourage the students to not only eat healthy meals, but lead healthy lives. Erin Perkins is a staff writer Ohio Valley Publishing. Reach her at (304) 675-1333, extension 1992.